Join our team and let’s deliver better health together! If you have experience in behavioral health, substance use treatment, or community-based outreach—and the compassion to help others—this job fair is just for YOU! 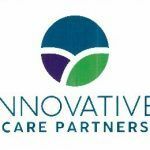 Innovative Care Partners needs CARE COORDINATORS with sharp minds and big hearts to join our growing team. Using your teaching/coaching skills and community health connections, you’ll empower clients to achieve their best possible health outcomes by pulling together many of the resources they need. A Bachelor’s degree or CADAC is required and English/Spanish fluency is strongly preferred. Care Coordinators are the backbone of our service. They’re so important, we’re hosting a single-focus Job Fair on April 11, 2018 from 3:00 to 6:00pm at 131 King Street, Northampton. See you there! COME HELP INNOVATIVE CARE PARTNERS DELIVER BETTER HEALTH TOGETHER. Innovative Care Partners is a collaboration of CHD, Gandara Center and ServiceNet.